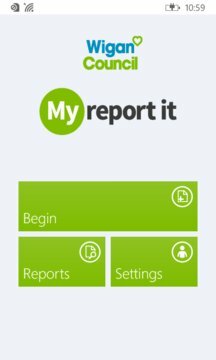 Report environmental issues quickly and easily to Wigan Council and get them resolved. 1) Check the location (which is detected for you automatically). 2) Take a photo of the problem. 3) Pick a report category, enter a description and submit.